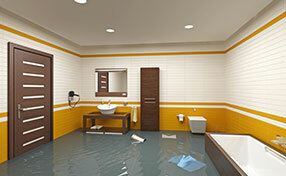 Practical answers in carpet maintenance questions are available in this FAQs page. What is the best way to vacuum carpets? Carpets must be vacuumed at least once a week. If you have pets and children, you should vacuum more often. 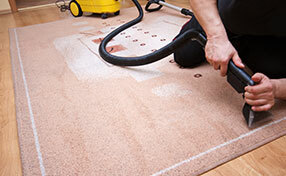 Carpet cleaning must be done with care. Vacuuming doesn't require force but gentle movements. If you have oriental rugs, you should vacuum them on the back side, too. Silk rugs are sensitive and it would be better to clean them with a brush. Don't vacuum the fringes of handmade rugs. They are sensitive. Why is rug cleaning at children's rooms so important? Children are sensitive and may not have antibodies to fight germs and bacteria collected at the bottom of dirty carpets. 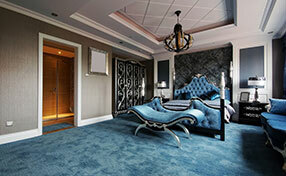 Rug cleaning on a daily basis will ensure the carpets are clean and healthy. Don't forget that most kids spend time on rugs playing or put their popcorn or chocolate on the floor before they put it in their mouth. Their rugs get dirty faster and they are required to be spotless. Can wool rugs and carpets be vacuum cleaned? It is always best to check what the manufacturer says just to be on the safe side. In general, they can be vacuumed. You just have to remember to avoid using a rotary brush as it can cause the fibers to fuzz. You should use the tool for cleaning hard floors instead. Again, you should follow the instructions of the manufacturer regarding vacuuming to get best results without causing damage. Filtration soiling occurs when there is a buildup of dirt in a carpet as a result of unclean air passing through its fibers. The air is filtered through the rug and leaves dirt in its wake. This is one of the most common causes for a need for professional carpet cleaning, and will occur regardless of how well you take care of them.